The Reading Blueprints textbook begins with a thorough explanation of how blueprints are structured and the conventions that are used in making them and reading them. These principles are then applied to detail drawings and assembly drawings of mechanical equipment. 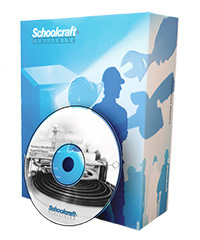 The chapters that follow deal with special features of blueprints in applications ranging from sheet metal work through electrical and air conditioning work. The Reading Blueprints textbook concludes with information on how to sketch in the style of a blueprint to convey information simply and completely. Does your curriculum require additional topics not included in this textbook? 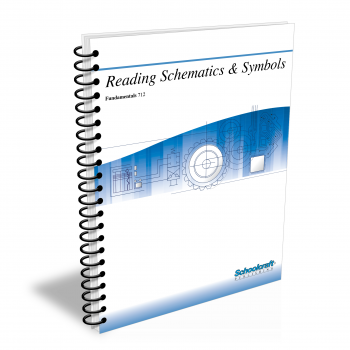 Build a customized version of the Reading Blueprints textbook below. Identify details, markings, and machine parts from an assembly drawing. Identify an object from an orthographic drawing. Identify elements located within the title block of a detail drawing. Explain why more than one orthographic projection is needed to show an object on a blueprint. Describe what a machine is, and explain what it does. Name the two basic methods of joining machine parts. Name and identify from an exhibit several types of threaded fasteners. Name the two basic methods of permanent joining. Identify gears, bearings, and belt drives on drawings. Identify types of screw threads from a specification. Name the main parts of a lathe. State the definition of an exploded view. Identify a compound rest swivel on an assembly drawing. Identify a specific part on an assembly drawing. Describe the difference among coils, strips, and sheet metal. Describe how a ventilation system works. State the purpose of an arrow on a duct symbol. Demonstrate how to lay out a development. Define a radial development of a truncated pyramid. Name building materials, given their standard symbols. Explain how to find useful information on a flow diagram. Explain how to find useful information on an industrial plat. List the contents of a set of building drawings. Describe the purpose of a structural drawing. Name the components represented by common symbols on hydraulic and pneumatic drawings. Name the components in a simple hydraulic power system. Name the components in a simple pneumatic power system. Discuss the purposes of the components of hydraulic systems. State the definition of piping. Explain why joints are sometimes brazed instead of soldered. Explain how to assemble a screwed joint. Identify different types of pipe joints. Identify piping-system components shown in a single-line drawing. Identify different electrical symbols on a drawing. Identify the power distribution panels in your plant. Identify different types of conduit and cable. Select the best electrical drawing to use when looking for a faulty circuit between the basement and the first floor. Explain how electricity at 480 volts is reduced by a transformer to 120/240 volts. Define the terms voltage, current, and power. Explain how a refrigeration system works. Describe the types of ac controls. Name three kinds of condensers used in air conditioning systems. Explain the difference between unitary and central air-conditioning equipment. Explain how to find useful information on a duct drawing. Name the four kinds of sketches. Describe the appearance of a perspective drawing. Discuss how to sketch straight lines and curved lines. State the definition of a vanishing point.